"I am a Taliban of the Church, and I consider death as nothing. Whoever fears death cannot do a good deed, whoever is prejudiced against victory to fight is an idiot. Once I fight I'm a winner," Papa-George said not too long ago in an interview. We should mention that the late Papa-George was very much loved by Saint Porphyrios the Kavsokalyvitis, and the Saint often showed it. Specifically, when Saint Porphyrios once came to Chania, he stayed in the home of Papa-George for two whole weeks, which Saint Porphyrios did not usually do. 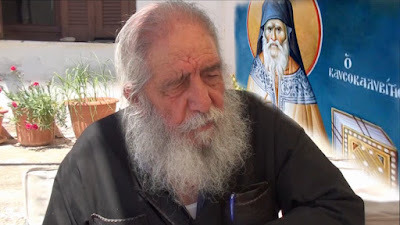 Once Papa-George told me about a miraculous event with Saint Porphyrios: "My Aimilios, once I was going with Elder Porphyrios to a place here in Crete. Then in front of us we saw a river and I told him, 'Elder, if we only had a donkey!' And Elder Porphyrios responded, 'Where would we find one, Papa-George?' 'Here is one Elder,' I said pointing to myself. Then my Aimilios, I put him on a rock and took him on my shoulders. As soon as we entered the river Elder Porphyrios stroked my head and said, 'This should be a painting my Papa-George.'" Papa-George then continued: "As we were returning and came once again to the river, I bent down in order to once again put him on my shoulder and, O the miracle! we found ourselves on the other side and I don't remember how we crossed over, nor were we wet!" 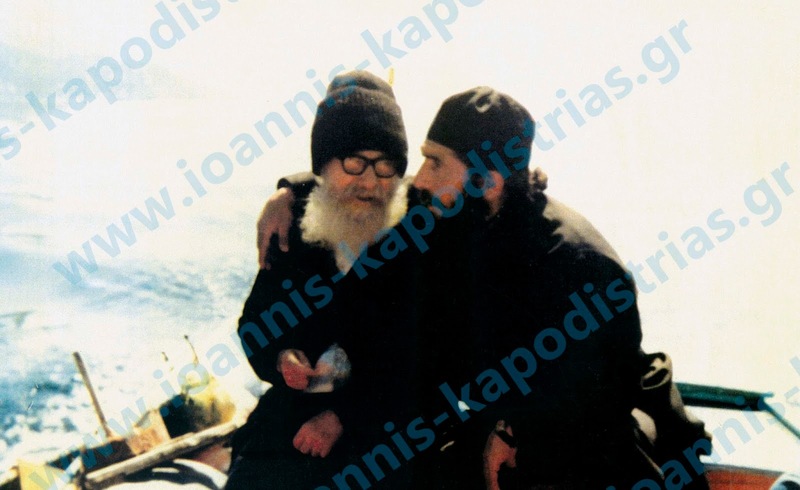 I was acquainted with Papa-George for many years, and many times I would call him on the phone and he would say to me: "My Aimilios, when will Elder Porphyrios become a Saint? He must become one..." he would yell from the other end of the line. May your memory be eternal Papa-George. * It should be noted that Papa-George reposed on the birthday of St. Porphyrios, Feb. 20th, which is Feb. 7th with the Old Calendar. And he lived to see the canonization of St. Porphyrios last year.